Warning all music fans – you are not experiencing deja vu. Chris Brown is coming to perform in the UAE exactly 368 days after his debut Dubai gig. The international superstar will perform at Meydan Racecourse on December 11 in a concert organised by Dubai Parachuting Championships, Skydive Dubai and the Alchemy Project. After the last free-faller is back on solid ground and Katy Perry and Usher have closed the event on December 9, organisers are making sure the celebrations continue. Brown had a blast while in the UAE last year, with his then-girlfriend Karrueche Tran, taking to the waves on jet skis, tearing up the desert on quad bikes and posing for pictures with the Dubai skyline in the backdrop. That concert took place at Dubai Festival City on December 9, 2011. Earlier this month Atelier announced its New Year’s Eve concert line-up which features Snoop Dogg, Faithless (Maxi Jazz & Sister Bliss), Gorillaz Sound System and DJ Armand van Helden. Brown’s Carpe Diem tour begins tonight in Norway, and ends in Paris on December 7. 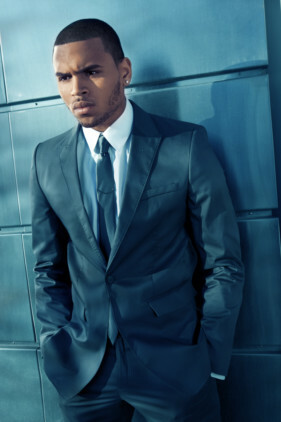 Brown debuted in 2005, aged just 16, with his self-titled album Chris Brown. Since then he has stormed charts across the world with hits including Run It,Yeah 3x and Turn Up The Music, and has worked with everyone from Justin Bieber to Busta Rhymes, Brown took his first Grammy Award for the Best R&B Album for his album F.A.M.E and cemented himself as an international music superstar. He’s nominated for Favourite Male Artist and Favourite Album at tonight’s American Music Awards for his fifth album, this year’s Fortune,. The singer also made headlines for reasons other than his music in 2009 when he pleaded guilty to assaulting then-girlfriend Rihanna. He was sentenced to five years’ probation and six months of community service. Brown and Tran reportedly ended their relationship last month, with rumours circulating he had rekindled his relationship with Rihanna. The Barbadian singer this month announced her song Nobodies Business — which appears on her upcoming seventh studio album Unapologetic — features Brown. (The song was leaked online over the weekend.) The two first sparked rumours of a reunion when they collaborated on the raunchy Birthday Cake, on Rihanna’s 2011 album Talk That Talk, and fuel was added to the fire when she told Oprah in an interview that she still loves Brown. We can only wonder if she’ll take time out from preparing for her upcoming Diamonds world tour to join him onstage for a sing-along. Earlier this month Superior Court Judge Patricia Schnegg ordered Brown to remain on supervised probation, and make another court appearance after his overseas tour. Earlier this month, Brown launched his Symphonic Love Foundation, focused on art, dance and domestic and dating violence education. “Art was my only outlet aside from music, it is the thing that I like to use as an escape,” he said. Last week Rihanna has shed some light on her track featuring the man who resorted to violence against her just three years ago. The Bajan babe says the track shows her attitude to rumours about her private life.